Text mapping is a visual technique to help you understand how information is organized in content area text, especially text books. 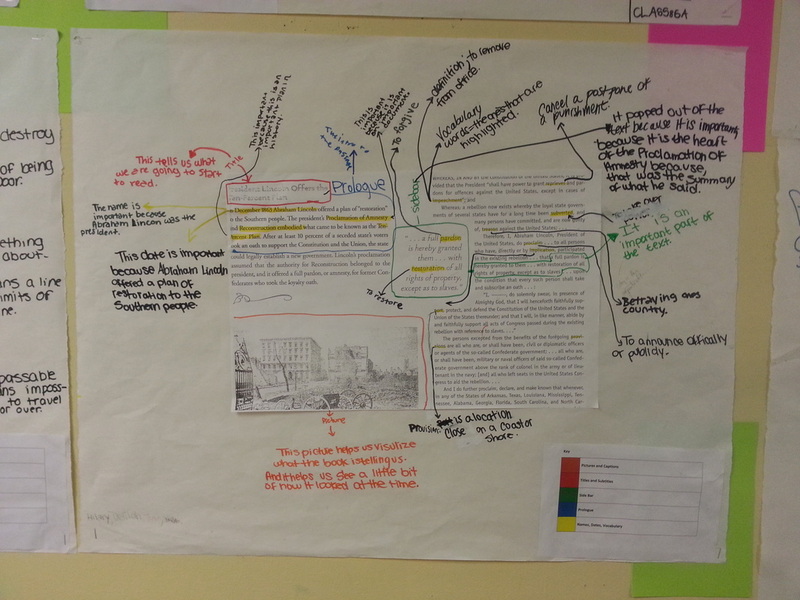 Developed by Dave Middlebrook in the 1990's, text mapping involves marking different text features as a way to better understand and remember the content in a book you are reading for Social Studies. 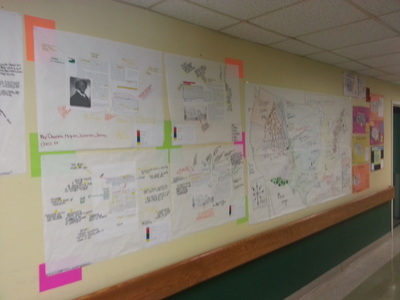 Text Mapping is a specific form of marking up the text that focuses on describing text features in spatial terms. Most text marking techniques focus on details - keywords and phrases, for example. 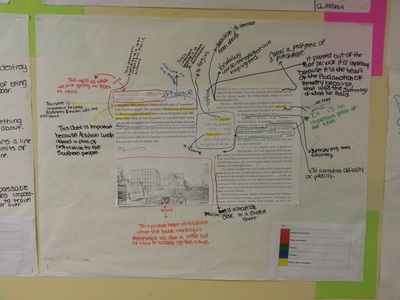 Text Mapping is descriptive; it focuses on the chunks and sub-chunks of information that are formed by details and the context that surrounds them. The value of Text mapping is that it makes the structure of information explicit and crystal clear. 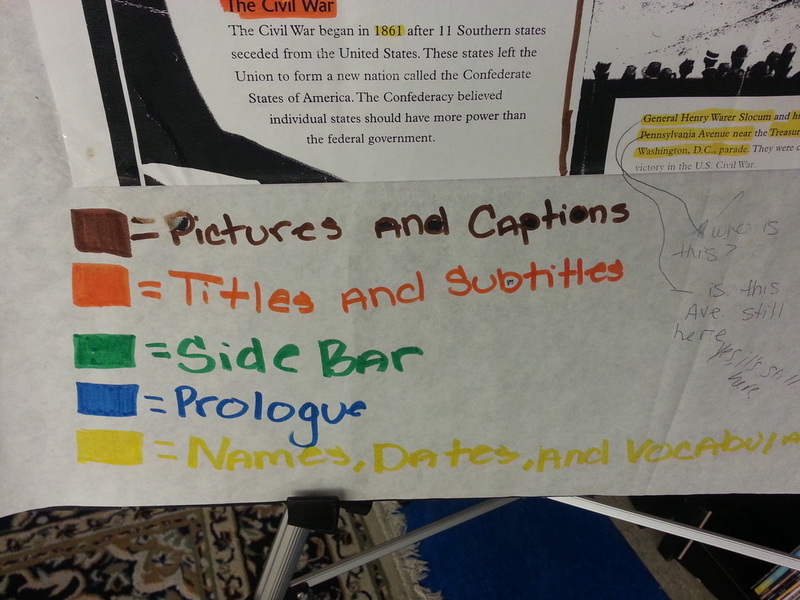 It provides an effective way of showing students what good readers do to build comprehension. Use a Green marker to circle sidebars. Use a Brown marker to circle pictures and captions. Use an Orange marker to circle titles and subtitles. Use a Blue marker to circle prologues.